Doncaster Under 13s: Back row (l-r): Fawaz Anjum (Doncaster Town), Ryan Alahakon (Doncaster Town), Jack Hotchkiss (Doncaster Town), Senith Wijesinghe (Bawtry), Jacob Swales (Sprotbrough), Keaton Mann (Adwick), Daniel Clarke (Sprotbrough). Front row (l-r): Ben Taylor (Doncaster), Ewan Whittaker (Doncaster), Joe Woodiwiss (Doncaster), Daniel Swales (Sprotbrough). Not pictured: Nicky Graves (Sprotbrough), Max Grant (Sprotbrough), Marcus Green (Warmsworth). 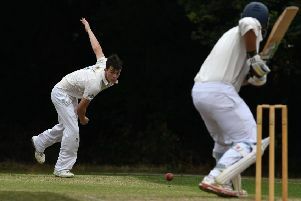 Doncaster’s best young cricketers have won a prestigious Yorkshire Junior Cricket Festival title for only the second time ever. The under-13s team, representing the Doncaster & District Junior League and managed by Des Whittaker, beat a much-fancied Heavy Woollen Junior Cricket League side in the final at Cleckheaton. Heavy Woollen, the 13-times winners, were restricted to 110 by some excellent Doncaster bowling. Sprotbrough’s Daniel Swales then carried his bat to guide Doncaster home and also earn the man of the match award. Doncaster beat York and Leeds to reach the last four and then got the better of the Bradford Junior Cricket League in the semi-finals. 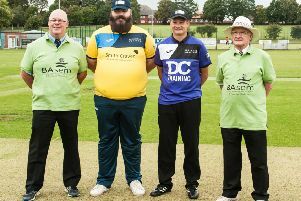 The long-running festival provides competitive representative cricket throughout Yorkshire to showcase children who have the ability to play at a higher level. Doncaster’s only previous win was in the under-15 competition five years ago.